Shutdown System 1: Developed a detailed Engineering and Proposed a VME based Shutdown System 1 (SDS1) for CANDU 9 reactors. Shutdown System 2: Integrated and qualified Shutdown System 2 (SDS 2) hardware for Wolsong 2, 3 &4 using VME bus architecture system, including the design, qualification and production of final trip watchdog timers. This system is developed as a Marsh Standard product. 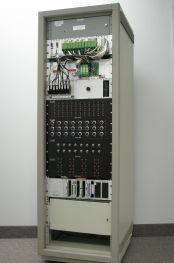 TALC (Temperature Alarm Logic Control) System: Designed, Built, Integrated and qualified a Power House Emergency Ventilation Logic System for Bruce Nuclear Power plant using FPGA technology. Marsh has a long history of active involvement in the Global Nuclear Power Industry.